Opera, Music Box International, Warner Music Greece, EMI-Columbia, MINOS-EMI, Afilokerdos A.E. Tzimis Panousis photograph from his performance at Athens Pride 2009. Tzimis Panousis (Greek : Δημήτρης "Τζίμης" Πανούσης; 12 February 1954 – 13 January 2018) was a Greek musician, stand-up comedian and occasional film and theater actor born in Athens, where he spent most of his life. His fans often refer to him as “Tzimakos” (little Jim). His first wife was Lili Achladioti with whom he had a son, Aris. He later married Athina Aidini and they had a daughter, Fotini. Dimitrios Panousis made his first appearance in the mid-1970s, performing in various pubs, with his band "Mousikes Taxiarhies" (Musical Brigades, Greek : Μουσικές Ταξιαρχίες). Panousis was the vocalist and main composer of the group. Their first (unofficial) album was Disco Tsoutsouni (Disco Weenie) released in 1980. It was an illegally published tape, many songs of which were later rerecorded for the band's official debut, their eponymous album in 1982. The band went under the alias "Alamana's Bridge" to make a guest appearance with two songs in the compilation album Made in Greece. In 1986, Mousikes Taxiarhies was disbanded and Panousis went solo. His subsequent successful career showed that he could be a band on his own. A pub, or public house, is an establishment licensed to sell alcoholic drinks, which traditionally include beer and cider. It is a relaxed, social drinking establishment and a prominent part of British, Irish, Breton, New Zealand, Canadian, South African and Australian cultures. 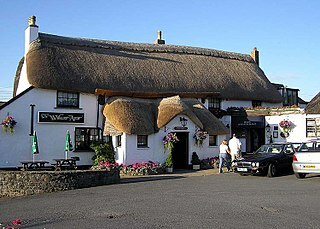 In many places, especially in villages, a pub is the focal point of the community. In his 17th-century diary Samuel Pepys described the pub as "the heart of England". Since his debut, Panousis had introduced a controversial style of rock music with humorous and sarcastic lyrics. His songs included caustic remarks on the political and social reality of Greece. His varied musical style included mostly rock, but also reggae and rembetiko. In his live performances, Panousis delivered sarcastic comments about current events and Greek musicians and personalities. He often interacted with his audience, in a unique type of stand-up comedy, and was also notorious for his on-stage phone pranks. Reggae is a music genre that originated in Jamaica in the late 1960s.The term also denotes the modern popular music of Jamaica and its diaspora. A 1968 single by Toots and the Maytals, "Do the Reggay" was the first popular song to use the word "reggae," effectively naming the genre and introducing it to a global audience. While sometimes used in a broad sense to refer to most types of popular Jamaican dance music, the term reggae more properly denotes a particular music style that was strongly influenced by traditional mento as well as American jazz and rhythm and blues, especially the New Orleans R&B practiced by Fats Domino and Allen Toussaint, and evolved out of the earlier genres ska and rocksteady. 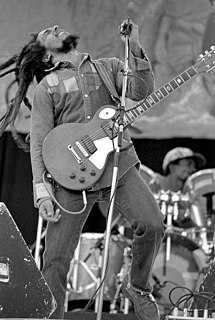 Reggae usually relates news, social gossip, and political comment. Reggae spread into a commercialized jazz field, being known first as ‘Rudie Blues’, then ‘Ska’, later ‘Blue Beat’, and ‘Rock Steady’. It is instantly recognizable from the counterpoint between the bass and drum downbeat, and the offbeat rhythm section. The immediate origins of reggae were in ska and rocksteady; from the latter, reggae took over the use of the bass as a percussion instrument. 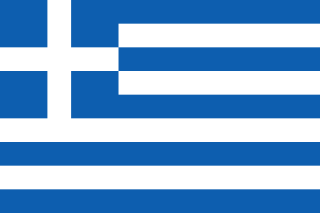 Panousis had several run-ins with the Greek authorities. His second album, Musical Brigades (Μουσικές Ταξιαρχίες in Greek), was briefly withdrawn from circulation in 1982 because of the ostensibly blasphemous lyrics of a love ballad. In 1984, censors placed beeps over some of the lyrics in Mousikes Taxiarhies's third album, An I Giagia Mou Ihe Rouleman (If My Grandma Had Wheels). In 1997, a court battle with well-known Greek singer George Dalaras began. Panousis had frequently been making fun of Dalaras in his live shows, showing money coming out of his mouth whenever he sang. The court ruled that Panousis would be charged with a one million Drachmas fine (approximately $3,000) every time he mentioned Dalaras by name on-stage. Panousis's response to that, was to call him "the unmentionable" in his shows from then on, and use his famous on-stage quip, "Ladies and gentlemen, I have 3 million drachmas to spare: Dalaras, Dalaras, Dalaras!" Georgios "George" Dalaras, is a Greek singer of international fame. He has been selected as a Goodwill Ambassador for the UN Refugee Agency. He was born in Nea Kokinia, Piraeus. His father was Loukas Daralas, a singer of rebetiko. 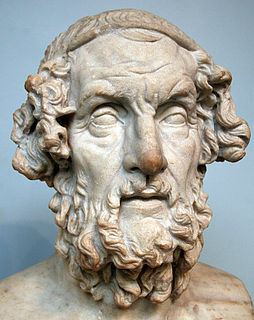 Aristophanes, son of Philippus, of the deme Kydathenaion, was a comic playwright of ancient Athens. 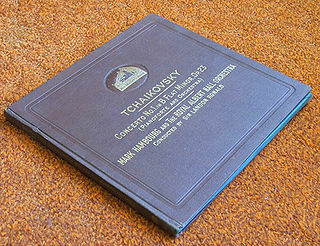 Eleven of his forty plays survive virtually complete. These provide the most valuable examples of a genre of comic drama known as Old Comedy and are used to define it, along with fragments from dozens of lost plays by Aristophanes and his contemporaries. Panousis had hosted various radio shows for more than 15 years. He was also the author of six books (a peculiar type of sarcastic essays). Moreover, he had appeared in four movies: the most notable is The Dracula of Exarcheia (1981, directed by Nicos Zervos), where Panousis was the protagonist. From September 2008 to June 2009, he hosted a 30-minute radio show, called Dourios Ihos (Trojan Sound) at the radio station "City 99,5". The show was hosted in "Radio Thema 98,9". Panousis died on 13 January 2018 after suffering a heart attack at his home in Athens. He had previously been hospitalized after collapsing on stage in December 2017. Stylianos "Stelios" Kazantzidis was a prominent Greek singer. A leading singer of Greek popular music, or Laïkó, he collaborated with many of Greece's foremost composers. Marinella is one of the most popular Greek singers whose career has spanned several decades. She has sung professionally since 1957. Since the beginning of her career, she has released 66 solo albums and has been featured on albums by other musicians. Rock and roll spread around the world in the 1950s and 1960s, entering Greece in the middle of the 1960s. Greek rock performers in the field include Kostas Tournas, Jimi Quidd, and Pavlos Sidiropoulos, the most important representative of Greek folk-rock and rock. Antonis Remos, is a Greek singer. Nikos Dimou, born in 1935 in Athens, is a Greek copywriter, columnist and writer. Márkos Vamvakáris, was a rebetiko musician. He is universally referred to by rebetiko writers and fans simply by his first name, Márkos. The great significance of Vamvakaris for the rebetiko is also reflected by his nickname: the "patriarch of the rebetiko". Apostolos (Tolis) Voskopoulos is one of the legends of modern Greek music. He also starred in many films and played in the Theatre in Athens. Haris Alexiou is a Greek singer. She is considered one of the most popular singers in Greece and has been commercially successful since the 1970s. She has worked with important Greek songwriters and composers, has performed at top musical theatres all over the world, and has received several awards. She has recorded over thirty albums and has been featured on albums of other musicians. On 14 March 2010 Alpha TV ranked Alexiou as the first top-certified female artist in Greece in the phonographic era, Chart Show: Your Countdown and the Number 3 overall ranking with regards to the sale of the personal albums certified Gold or Platinum in Greek discography since 1970, behind the male singers George Dalaras and Yiannis Parios. Eight of her personal albums released between 1977 and 2003 have surpassed 1.5 million sales, the only Greek female singer to do so. Phoebus, sometimes spelled Phivos or Fivos, is a well-known songwriter in both Greece and Cyprus. Phoebus is mostly known for his music through Despina Vandi and Katy Garbi, although he has composed albums for many other artists in Greece and Cyprus. A high percentage of the albums he composes receive certification making him one of the most successful Greek songwriters of the 1990s and 2000s, selling 3,500,000 records. In 2009 he founded his own record label, The Spicy Effect, to which he has signed various artists, many of whom he has collaborated with in the past. He has an estimated net worth at 75 million euros. This page includes the discography of singer Despina Vandi. Vandi began a musical career in 1994 after signing with Minos EMI. She released two albums with little success, Gela Mou (1994) and Esena Perimeno (1996), before beginning an exclusive collaboration with composer Phoebus, which would eventually become one of the most successful partnerships in Greek history, and striking commercial success with her third and fourth albums Deka Endoles (1997) and Profities (1999), the latter which reached multi-platinum status. In the 2000s, Vandi and Phoebus began experimenting with more contemporary, radio-friendly pop influences in combination with laiko repertoire to much initial success. Her single "Ipofero" (2000) became the best-selling Greek single of all time ; after the success Vandi and Phoebus signed to new-found independent label Heaven Music with Gia (2001) remaining the label's biggest sales success, and one of the biggest-selling albums of all time in Greece. For the sales of Gia, Vandi became the first of four artists recording in Greece to receive a World Music Award for "World's Best Selling Greek Artist". With Gia earning success in neighboring markets as well, Vandi embarked on a career abroad briefly to some mild success; she became the first Greek artist to chart on any Billboard chart, reaching number one on the Hot Dance Airplay Chart for 2 weeks and 39 on the Hot Dance Club Play chart, although her later singles proved less successful. Vandi released her first live album in 2003 before taking a maternity leave after having her first child. During this time, both her former and current label released a number of compilations and video albums to capitalize on her recent marketability. Vandi returned with another multi-platinum record, Stin Avli Tou Paradeisou, before another maternity leave. 10 Hronia Mazi (2007) was released as a celebration of her 10-year collaboration with Phoebus. In 2009 Vandi and Phoebus announced that they were leaving Heaven Music in favor of a new label founded by Phoebus. The biggest music channel in Greece, MAD TV, in tribute to the 10 years since its foundation called Despina Vandi as the biggest female Greek star in Greek music. Vandi has sold over 1 million records. Mihalis Hatzigiannis is a popular Cypriot recording artist. From 2000 to 2009, Hatzigiannis has received over 30 certifications in Greece alone, making him one of the most successful artists of the decade. Hatzigiannis is also known for representing Cyprus in the Eurovision Song Contest in 1998. In 2010, Hatzigiannis released his first English language album in Europe. In 2010, Forbes listed Hatzigiannis as the 22nd most powerful and influential celebrity in Greece and fifth highest ranked singer. Loukas Yorkas, is a Greek-Cypriot singer and model and the winner of the first season of the Greek version of the television talent series The X Factor. In September 2009 he released his first EP album, Mazi, which attained gold status. He studies Biology at the University of Patras. Giorkas represented Greece in the Eurovision Song Contest 2011 in Germany along with Stereo Mike with the song "Watch My Dance", placing seventh with 120 points. Giannis Kalatzis was a Greek singer who was especially popular in Greece in the late 1960s and the first half of the 1970s. Andriana Babali is a Greek singer and songwriter. Akis Katsoupakis is a Greek musician, arranger and record producer. His most commercially acclaimed album is Sokratis Malamas's "O Fylakas ki o Vasilias" (2000). Haralambos (Babis) Tsertos is a Greek musician. His sister is the singer Nadia Karagianni and his father was also a musician who played the Mandolin. At the age of 17, he settled permanently in Athens and in 1974, he entered the Faculty of Physics at the National and Kapodistrian University of Athens. Antonis Vardis was a Greek composer and singer. ↑ http://www.iospress.gr/ios2000/ios20001029a.htm Eleftherotypia, 29 October 2000, The Tzimis Panousis Affair (in Greek). ↑ Kathimerini English Edition, 30 October 2006, Comic no joke for archbishop. ↑ Kathimerini 21 February 2013, Αντισημιτισμός και Αριστερά (in Greek). ↑ Lifo, 27 February 2013, Η εβραϊκή κοινότητα ζητά την απόσυρση της αφίσας του Τζίμη Πανούση (in Greek). Wikimedia Commons has media related to Tzimis Panousis .